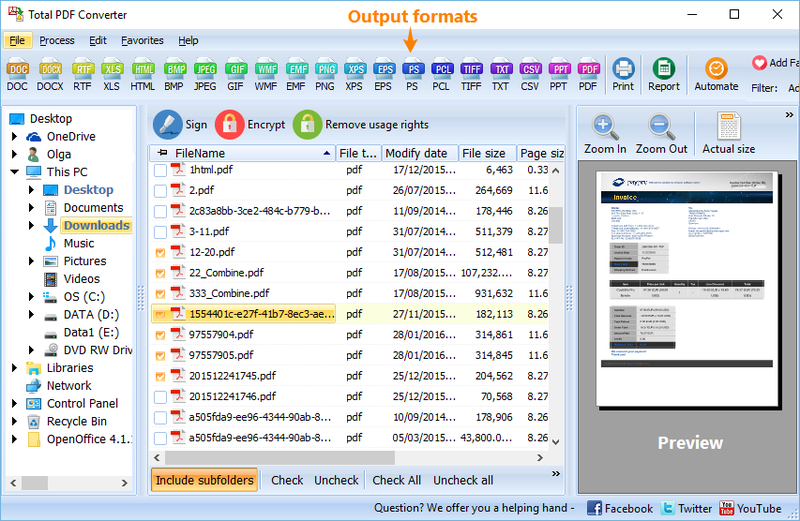 Total PDF Converter – one of the most powerful and easiest-to-use file conversion tools – saves you hours of browsing for a medium quality converter that supports only a couple of formats. 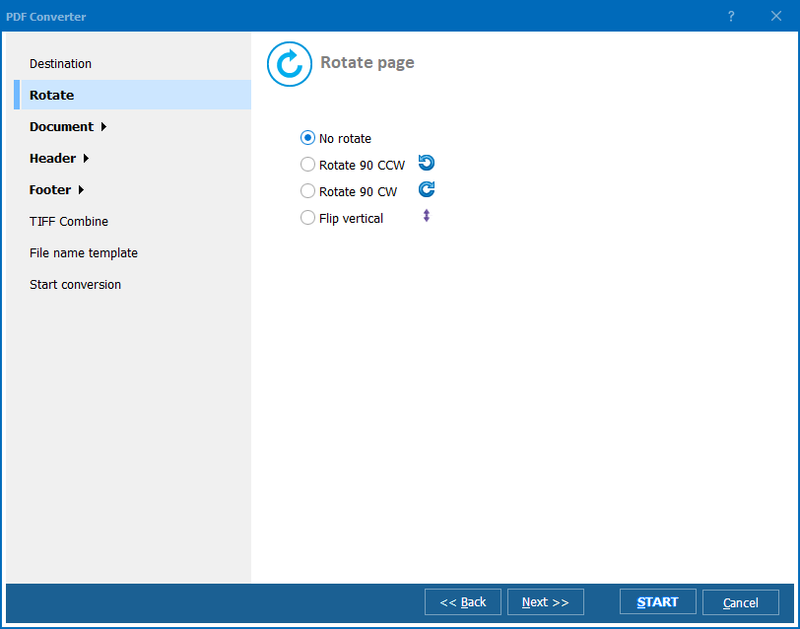 It is an all-in-one converter, which supports a series of formats, including PS and XLS. Particularly, it converts PS files to Excel in seconds. Besides, this program features batch mode, which permits you to render scores of PS files in XLS in a twinkle of an eye. Now, you are not going to have to purchase the extortionate Adobe Acrobat. Total PDF Converter has an intuitive interface with all functions right before the eye and a handy Wizard, which steers you the right way. You are free to choose between different settings, or you can skip it and use the default settings, which are generally acceptable as to the output quality. Thus, this program is great for both experienced and first-time users. Total PDF Converter features command line support, by aid of which you can manage your files from within any other application. The program integrates into the Windows right-button menu, so you can convert PS to XLS from the desktop. 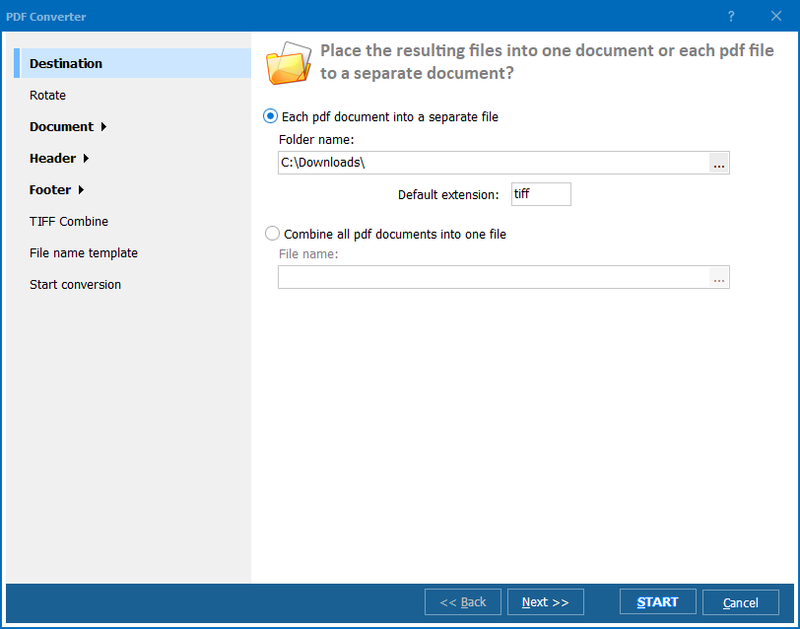 To convert PS to XLS, launch the interface and select the folder from the file tree in the left-hand part of the interface. A list of PS files contained in this folder will appear in the main panel. Check the files, which you wish to convert to XLS. You can either check them manually or click 'Check All' to check-mark the entire list. This is the batch mode mentioned above. Select XLS in the format bar or Convert menu at the top of the interface. Follow the Wizard and make your settings. Select destination folder, so that you will know where your output files are saved. Click Start to convert. 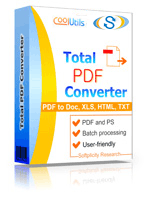 Total PDF Converter is shareware, so you can buy it online any time. Also, you can download the free trial version and have 30 days of pleasure. When the trial period expires, you are going to have to register and buy the license. After you do that, you will be able to use the tool’s every advanced feature and function and receive regular updates and technical support for free.